Food companies want to capitalize on the growing market of white bread fans who want to eat whole wheat. A new variety of wheat makes that easier. Farmer Mark Linnebur is one of the first farmers to grow Snowmass wheat alongside red wheat varieties at his Beyers, Colo., farm. Snowmass, named for a Colorado peak, is a hard white wheat variety, a crop in high demand as bread makers increasingly seek new markets -- in this case health-conscious consumers who don’t want to give up white bread. Hard white wheats lack the dark bran color and potent flavor of their red wheat cousins, which are grown widely across the Great Plains. Farmers and food companies have been interested in hard white wheat for a while, but economic and climatological realities have kept it from taking off. Hard red winter wheat grows well in wheat states like Colorado, Kansas and Nebraska. But it doesn’t mill into white flour, it has to be bleached. By itself, the dark, flavorful bran it can be a tougher sell to more finicky consumers who prefer white bread. Wheat breeding programs, both public and private, have been hard at work trying to come up with a variety like Snowmass -- a type of white wheat that yields well, mills into a white flour and mixes easily into dough. 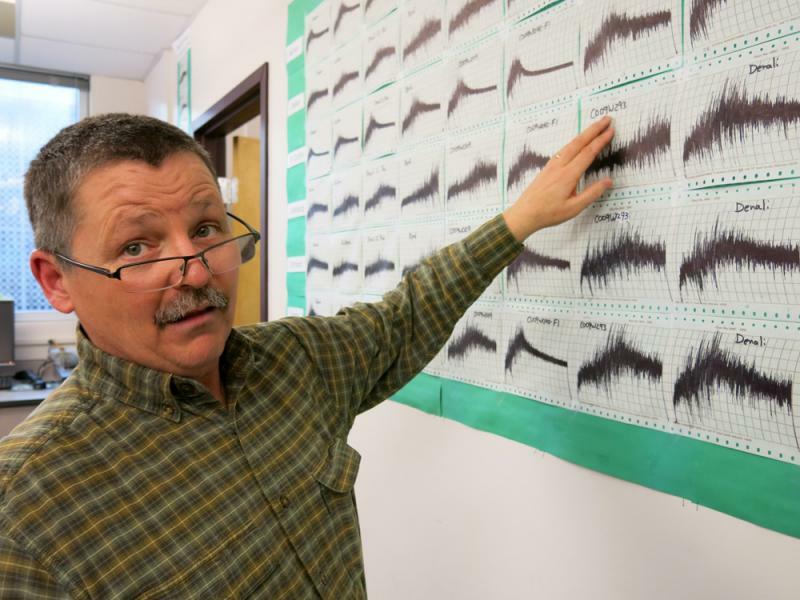 Colorado State University wheat breeder Scott Haley finally had success. He’s the father of Snowmass. When you come up with a well-performing, novel crop, there’s a whole community of people who consider you a rock star. “Well, I’ve been told that this is the most famous wheat in the world, which is just like, oh my gosh. I don’t believe that,” Haley said. The foundation that funds some of Haley’s research receives money from food giant ConAgra to develop wheat varieties for commercial use. The exact amount is part of a confidentiality agreement among Colorado State University, ConAgra and the Colorado Wheat Research Foundation. ConAgra has been after healthier white flour, which its customers, like Sara Lee and Azteca, can then turn into whole grain white products like breads and tortillas. Haley found Snowmass withstood problematic diseases and yielded well, even in the harsh climate along the Great Plains. So the excitement over Snowmass started building, at least on the side of the food companies with dollar signs in their eyes. The marketing terms for a whole grain white bread become superfluous: “light,” “airy,” “nutritious,” “healthy,” “smooth.” The transition to whole grain white bread has brought a few headaches for food companies and drawn the ire of consumer groups. 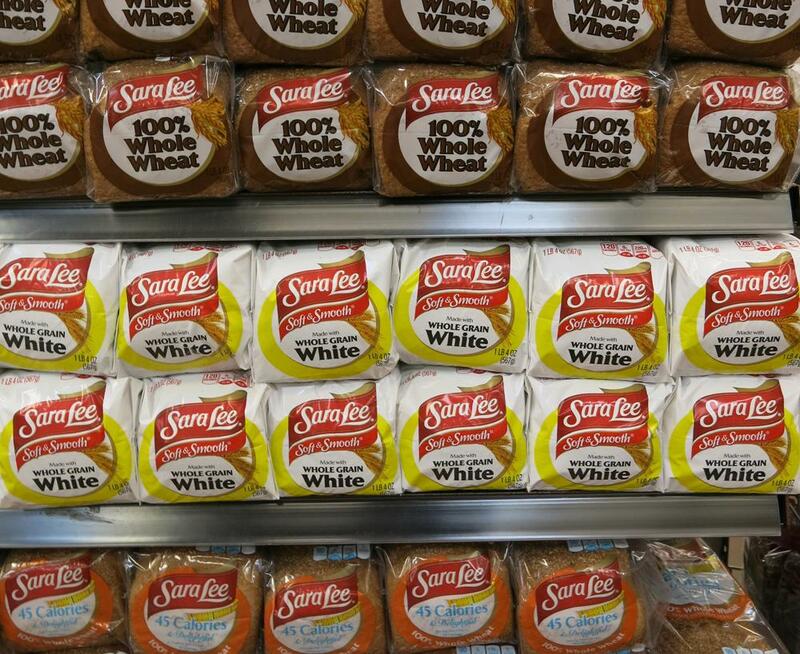 Sara Lee was sued back in 2007 by a group that said the company’s white bread “made with whole grains” was misleading. But even with all the interest in Snowmass, food companies still need farmers to grow it. “For a long time there were no choices. There was just hard red winter wheat,” said Byers, Colo., wheat farmer Mark Linnebur, one of the first farmers to take a chance on Snowmass. 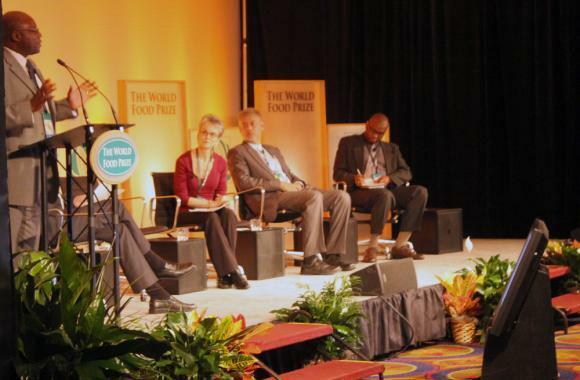 Here’s where the financial realities of bringing a new agricultural or food product to market are made clear. Because Snowmass is still new, and a bit risky, ConAgra pays individual farmers extra for every bushel of Snowmass they harvest. Farmers who’ve grown hard red varieties all of a sudden have to build separate processing and storage facilities for Snowmass, a tough sell for farmers who aren’t looking to shake things up. 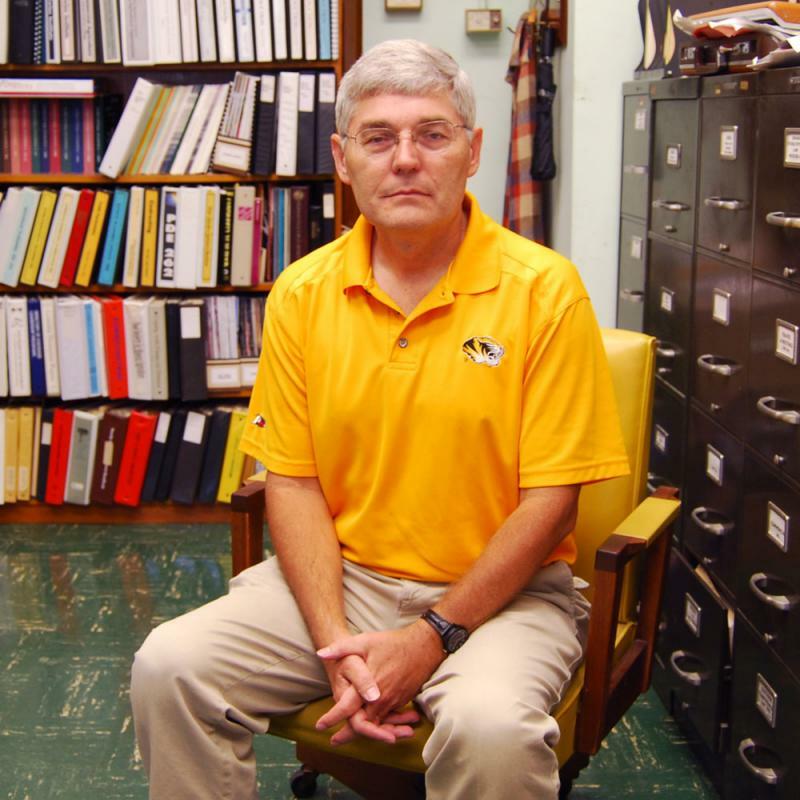 “That little bit of a premium paid for the additional costs of infrastructure,” Linnebur said. 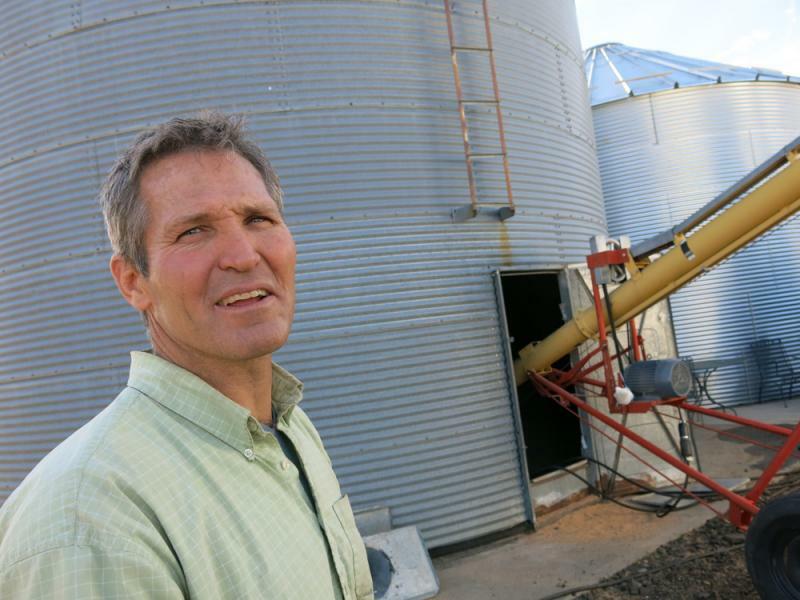 So ConAgra sweetens the deal for farmers like Linnebur. But the company passes the extra cost down to the consumer, so 100 percent whole grain white bread is usually more expensive than its plain white brother. “If the consumer demand for the whole grain white product is there then they’re going to be willing to pay for it and like everything, it takes years for that market to develop,” Linnebur said. That market is developing right now. ConAgra has already started including Snowmass in its Ultragrain whole grain flour and the company sells Snowmass flour, called Ultragrain High Performance, to industrial scale bakeries. You might have seen the Ultragrain logo popping up on some brands at the grocery store, like Azteca tortillas and Sara Lee bread. “What Ultragrain has really allowed food companies or bakeries or even at-use at home, is to substitute traditional flour with a whole grain product and ultimately you get that health benefit,” said ConAgra Mills president Bill Stoufer. ConAgra has spent a lot of money to be able to give bakeries and farmers that flexibility. But it’ll have competition. Snowmass is currently only grown in Colorado, but farmers in other big wheat states like Kansas, Nebraska and North Dakota are also looking to capitalize on the white whole wheat trend. Hard white wheat varieties like Snowmass are in high demand, meaning there’s a lot of money to be made. And sometimes all it takes is a serendipitous moment to create the next big hype. Hot-button food issues of the day, such as the use of genetically modified organisms or the treatment of livestock, tend to pit large industries against smaller activist groups. Often, both sides will claim the science supports what they are saying. That can leave consumers, most of whom aren’t scientists, in a bit of a bind. This is the latest installment of Harvest Public Media’s Field Notes, in which we talk about important issues related to food production. Consumers increasingly want the texture and taste of white bread but the nutritional benefits of whole grains. In this week's episode of Field Notes, Harvest Public Media's Luke Runyon reports on a new variety of wheat called Snowmass that could help meet that demand. 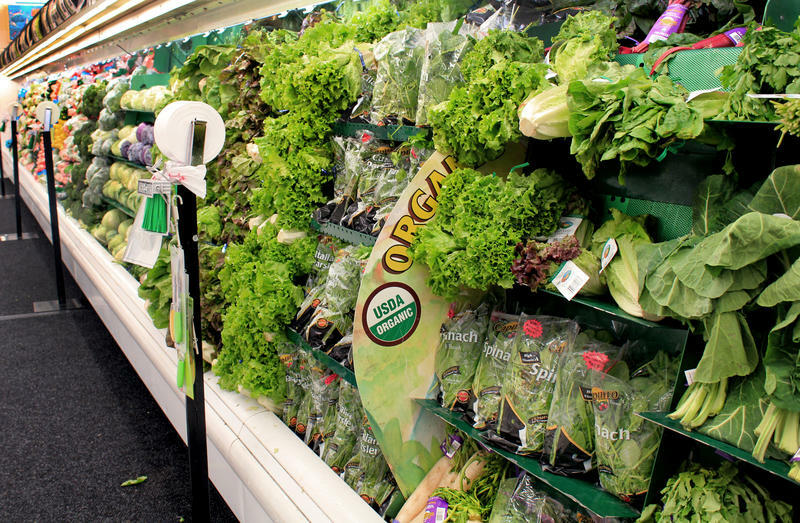 Limited access to nutritious food is an issue facing rural communities in Missouri and the nation at large, according to University of Missouri specialists. This is the latest installment of Harvest Public Media’s Field Notes, in which reporters talk to newsmakers and experts about important issues related to food production.